If you have any questions or want to enquire about dates, use our form to contact Marion Brigand or see their website for more information. Two adorable L-shaped houses have been combined and restored in a fresh and airy style set down a long drive deep in the French countryside. Unwind surrounded by forests and fields or jump in the car to visit one of the glorious châteaux of the Loire. The large sitting room has a period fireplace and unlimited logs as well as a TV, and you can borrow books and board games. Outside, there’s a terrace with a barbecue, table and chairs, and a huge wooden Nordic-style hot tub – plus lots of lawn and forest to find a peaceful spot to sit in. 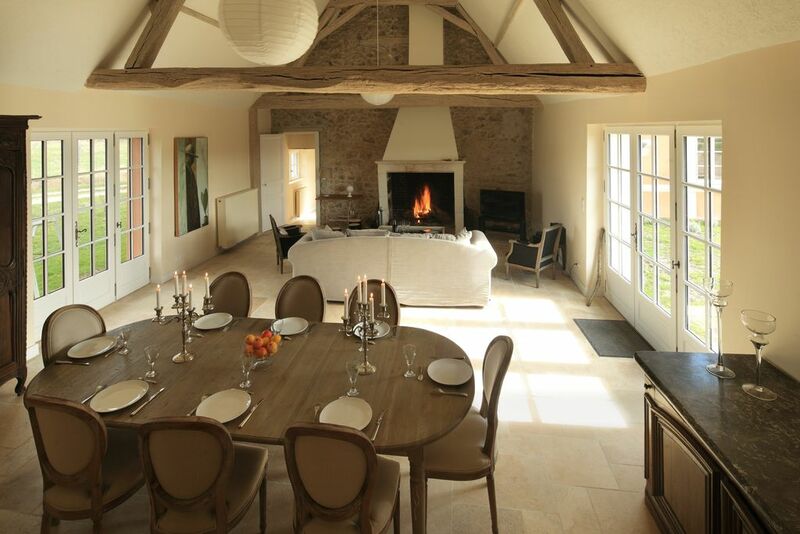 The house is one of fifteen self-catering properties on a vast wooded estate. Drive to the main house to use the shared heated swimming pool and fitness track; you can hire bikes, or kayaks, paddleboards and boats for the lake here too. The nearest restaurants are in Sonzay, a ten-minute drive. Minimum stay: 2 nights. 7 nights July/August. Pets by arrangement (surcharge applies). Private chef and food delivery available. This pair of houses makes one delightful ensemble with a fresh Scandinavian feel, lost in the French countryside between lake, forest and field. 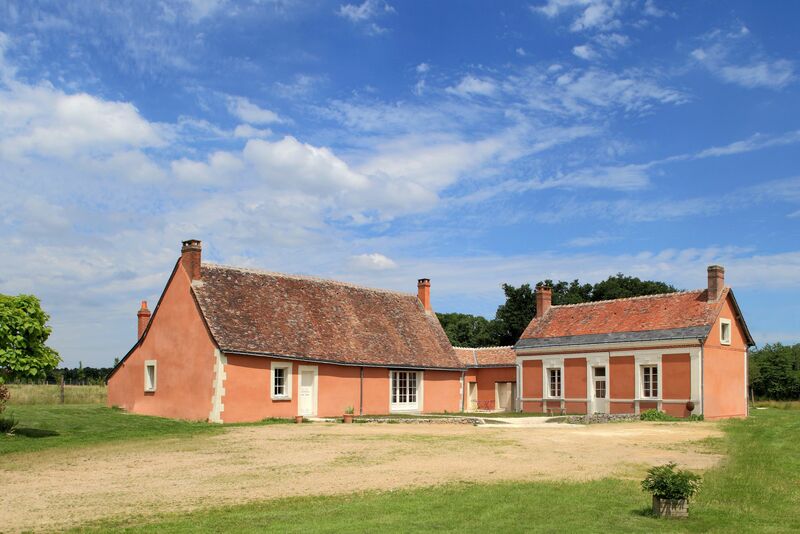 A lovely bolthole for either hiding from the world and getting back to nature or exploring the wonders of the Loire valley. 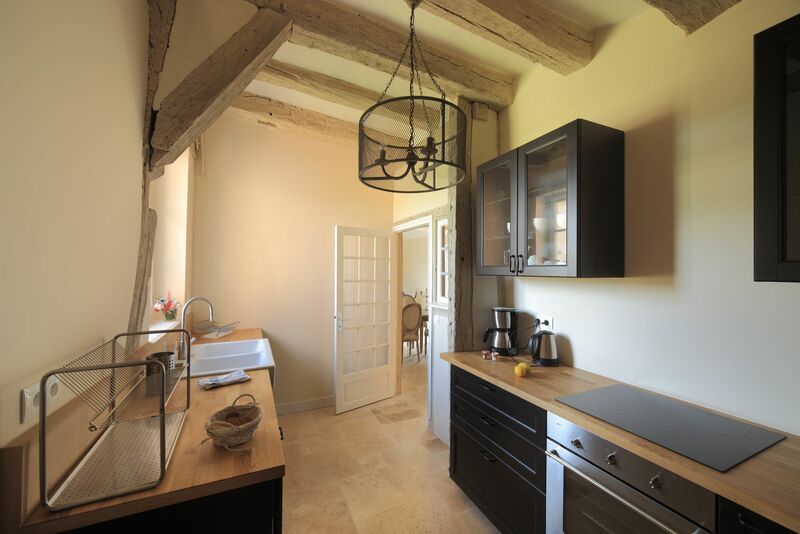 The cottages have a wonderful setting on 1,000 hectares of wooded country estate, close to the famous historic monuments of the Loire Valley – the medieval château of Langeais is 20 minutes away, the gardens of Villandry are 30 minutes away, as is the city of Tours with its antique shops and art galleries. The owners have lived between Paris and the estate for 50 years. They love nature and architecture and have lovingly restored the 13 houses within the estate, adding lovely art and furniture as well as classic pieces. A member of their staff will be on hand to greet you and show you to your accommodation.